A partnership is an unincorporated association of two or more people who act as co-owners of a business for profit. Under New Jersey business law, a partnership may be created even when there is no written partnership agreement between the parties (this is known as “defacto partnership.” However, just like any other business venture, a partnership is required to register their business with the State of New Jersey Secretary of State and obtain an employer identification number for tax purposes. For tax purposes, each partner received profits and losses just as though it were personal income, but set forth on a Schedule K-1. (This is different from a corporation which is separately and additionally subjected to taxes on the business’s earnings.) A partnership with more than 2 owners must pay a filing fee per owner. The fee is currently $150 per partner. The fee is applicable to any owner notwithstanding the fact that the owner may only be a partner for part of the year. 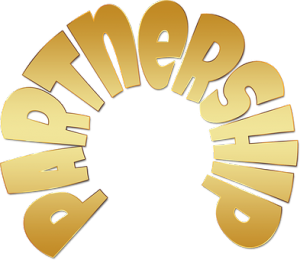 A partnership may also typically be referred to as a general partnership. However, there is also an entity known as a limited liability partnership or “LLP”. Under New Jersey Partnership, in a general partnership, partners of the business are jointly and severally liable for liabilities such as lawsuit judgments, debts and other business obligations. (Joint and several liability means that a creditor or claimant may pursue a debt or liability against any partner or all partners for the full amount owed.) However, using the LLP form limits the liability for certain partners so that they the “limited partners” are not “general liability” for liabilities that arise from negligence or misconduct committed in the course of the partnership’s business based upon the acts of an employee, agent, or other representative. A limited partner would still be liable for his/her own acts. Forming a LLP requires an additional public records filing with the New Jersey Division of Revenue. An LLP must have at least one partner, sometimes referred to as a general partner or managing partner, who bears the burden of liability for the actions of the partnership. An LLP cannot have a corporation act as a partner (whereas a limited liability company or “LLC” may have a corporate member or owner).